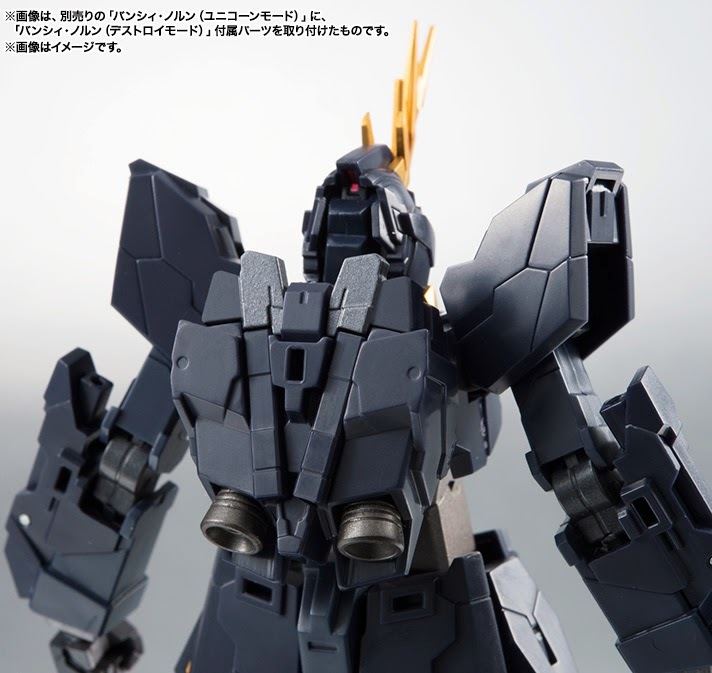 Riddhe’s Banshee Norn MS from the Mobile Suit Unicorn Gundam OVA joins the ranks of Robot Spirits as it appears in Destroy Mode. 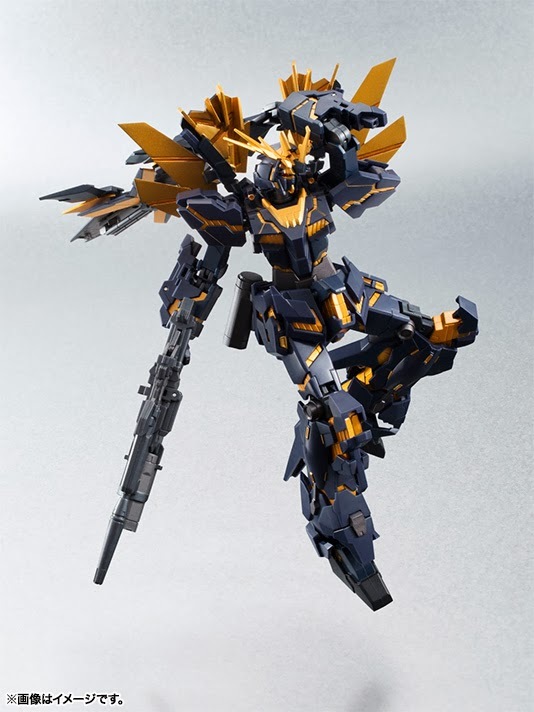 This advanced robot action figure set features newly tooled joints for full armored leg areas, as well as special bonus parts for use with the separately sold Robot Spirits Banshee Norn (Unicorn Mode) that allow for portrayal of the standard Banshee in Unicorn Mode. This deluxe set also includes a full array of accessories- beam saber x2, Armed Armor DE (Destroy Mode), Beam Magnum, magazines, Revolving Launcher, and interchangeable hand parts (4 left/3 right).